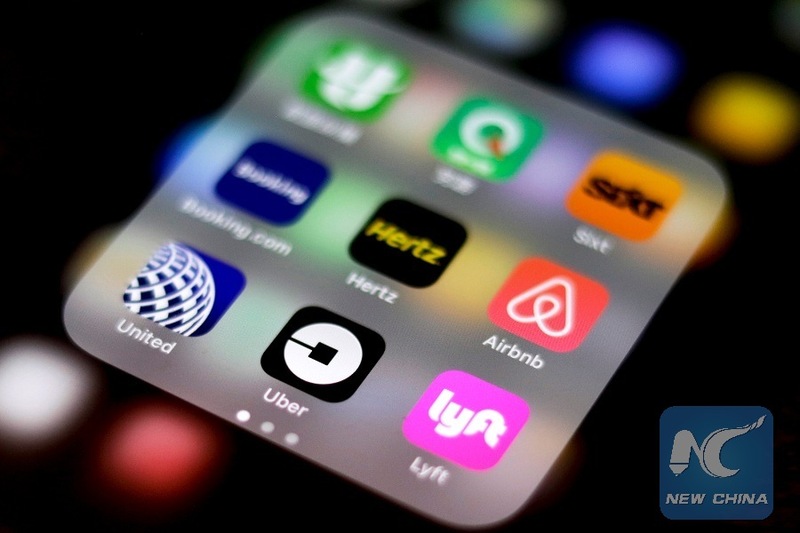 NEW YORK, Aug. 8 (Xinhua) -- New York City Council passed regulations on for-hire vehicle industry on Wednesday, placing a year-long cap on the number of for-hire vehicles on the road. The cap will not apply to wheelchair-accessible vehicles or vehicles serving a particular geographic area which is in need of the service and does not see increased congestion with more for-hire vehicles. A minimum wage for drivers of the for-hire vehicles is also required in the regulations, and the Taxi and Limousine Commission will study and decide whether to adopt vehicle utilization standards or regulations on the number of for-hire vehicle licenses. The app-based transportation industry in New York City includes about 80,000 vehicles, dwarfing the city's 13,587 medallion taxis, according to a latest study by the New School for the Taxi and Limousine Commission. "Our city is directly confronting a crisis that is driving working New Yorkers into poverty and our streets into gridlock. The unchecked growth of app-based for-hire vehicle companies has demanded action, and now we have it," New York City Mayor Bill de Blasio tweeted on Wednesday.